For contests and judging you need the rulebook! How do you get the contests and judging running smoothly? First step – check out the new rule book. It is dated July 1 2018- 30 June 2019. You can find an electronic version here. A paper version has been sent to all club Presidents with the Club Leadership Handbook. Not only does the rulebook tell you the rules for each contest it also has very helpful checklists for: the contest chair, chief judge and for contestants. You can get free digital downloads of all the contest materials you need including ballots and certificates at the Toastmasters Online Shop (click on the contests tab which is likely to be right at the bottom of your screen or just below!) You can also buy full printed sets of contest materials. Copies of the Evaluation Contestant Notes sheet. will be required for all members who choose to make preparatory notes during the test speech. This is the only sheet contestants can now use to make notes during the contest at all levels. Notepads, iPads, evaluator forms, etc. are no longer permissible in contests. Contestants may have multiple copies of the sheet, with equal numbers being available to all members. And if you want to be a great judge, make sure you follow the Online Judging Training. If you are the contest chair, click here for our Contest Chair Briefing Notes. If you are chief judge, click here for Chief Judge Briefing Notes. This presentation is for Judges Training. Please feel free to download and modify to suit your needs. Looking for a sample agenda? This document, when printed two sheets to a page and back-to-back, will give you a nice C5-size folded agenda. It’s designed for an area Humorous and Table Topics contest, but can be easily modified. 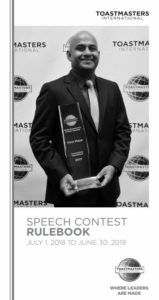 As Toastmasters, it is our duty to ensure the contests we arrange are efficiently and fairly organised for the benefit of all participants and all those attending. This is to help our contestants be the best they can possibly be. 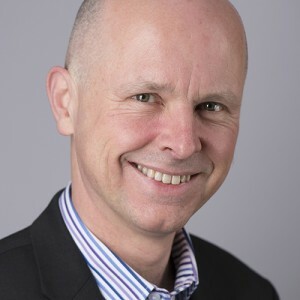 Andy’s role is to support every member in having access to all the documentation, resources and knowledge they require to ensure our District has the best organised contests in the world! If you have any questions about contests – how to run them or whether you’re eligible to compete or judge, please contact Andy.